Belmont’s Equestrian Club recently won fourteen ribbons at a competition hosted by Maryville College at Penrose Farms in Knoxville. The Intercollegiate Horse Show Association riding competition took place Oct. 31 – Nov. 1 and invited teams from Vanderbilt University, University of Tennessee at Knoxville, The University of the South, Middle Tennessee University, Maryville College and Belmont University. 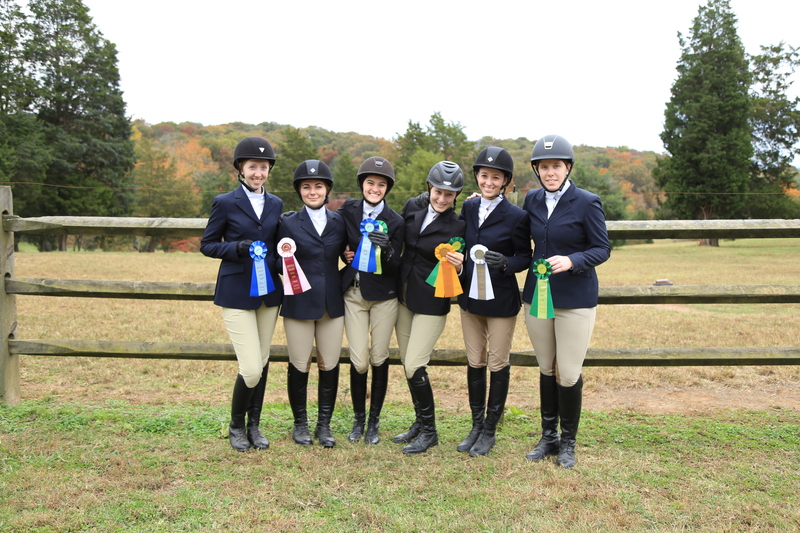 During the weekend, Belmont’s team competed in equitation classes, a pumpkin carving contest, flat and fence classes. The judging team critiques the style and equitation of riders as they navigate horses they have never ridden before. Jessica Setlik, Belmont’s coach, gave instruction on the courses each rider was expected to perform as well as studying each horse and predicting its temperament. The Belmont team took home nine ribbons including Meg Anderson’s 5th place win, Allison Harpole’s 4th place win, Susie Joyce’s 6th place win, Jilian Kimball’s 3rd and 6th place wins, Caitlyn Marsh’s 1st place win and Mary Ritchea’s 1st, 5th and 6th place wins. “I’m proud of my team and all that we have accomplished so far this season. We have grown and it shows through our ribbons,” said Meg Anderson, vice president of the Belmont Equestrian Team.